The setting is spectacular. 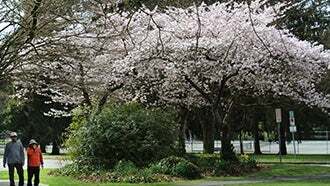 One of Vancouver's oldest neighbourhoods, Point Grey boasts unparalleled views, quiet, leafy streets, and proximity to UBC, the beach and downtown Vancouver. Embracing a mix of residents from business executives to UBC faculty members, it welcomes families with a wide-range of public and private schools to take your child from kindergarten to university. Extensive beaches Jericho, Spanish Banks, and Locarno and plentiful parks make it a year-round destination for nature lovers. West 10th avenue offers a popular shopping and restaurant district with a village-like atmosphere. A mature community set amongst grand old trees, large, serene parks, and mom-and-pop shops, Dunbar offers single family homes on quiet, residential streets. Easy access to downtown Vancouver via three arterial routes and proximity to the airport make it an excellent place to live. Many early Dunbar homes still stand today and it can seem like a neighbourhood that time forgot. However, as the age demographic of residents evolves so to have the area's facilities, schools, recreation centres and parks. Arbutus is a peaceful, affluent residential area with striking views of the North Shore. Home to a mix of families, young professionals, and mature long-term residents it has a true neighbourhood feel. Characterized by large, detached homes on spacious lots it also offers some townhomes, low-rise, and high-rise dwellings. Trafalgar Elementary School and Prince of Wales Secondary school lie within the immediate boundaries of Arbutus. While Carnarvon Elementary, Kitchener Elementary, and several independent and private schools lie just over its boundary. In the middle of Vancouver's West Side, it has easy driving and transit access to Downtown, UBC, and local beaches. 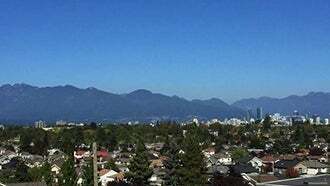 Nestled in the heart of Vancouver's West Side, Mackenzie Heights is a small tree-lined neighbourhood. A much coveted area, this quiet, leafy enclave close to Downtown, is known for its stately, single family homes on generous lots. Almost entirely residential it offers a mix of neighbourhood shops on Mackenzie Street between 28th and 33rd. Within walking distance of (and a short drive to) shopping in Kerrisdale and Arbutus Village, residents have easy access to all the conveniences they need. Close to downtown Vancouver, UBC, and local beaches Kitsilano and Jericho homes in this picturesque neighbourhood are sought after. 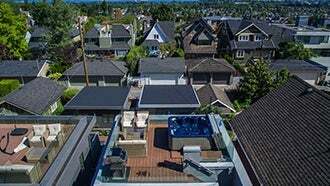 Centered along Arbutus Street and 33rd Avenue between Kerrisdale and Shaughnessy, Quilchena is a quiet residential community. Offering a mix of single-detached homes, low-rise condos and townhomes, the area is home to a blend of young families and older residents. Quilchena is anchored by the beautiful Quilchena Park. Wide green lawns and majestic poplars welcome sports enthusiasts to the baseball diamonds, soccer fields, and disc golf course. Those looking for a pleasant stroll need look no further than the numerous walking and jogging paths. Residents are connected to Downtown and the airport through the Arbutus Street artery. 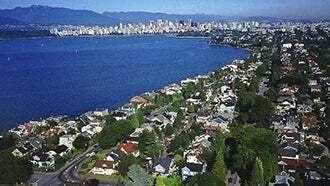 Known for its young, active population, easy access to shopping and restaurants, and Kits Beach, Kitsilano is one of the most recognizable areas of the city. A blend of urban convenience and suburban hip, the area is anchored by local eateries, neighbourhood coffee shops, and organic grocery stores. Housing is diverse in Kits. 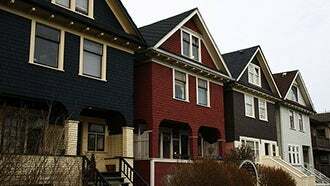 California bungalows rub shoulders with low-rise condos, heritage buildings, townhouses, and duplexes. No matter what you are looking for in your next home, it exists in Kits. With easy access to Downtown, plenty of schools to choose from, parks galore, and Kits Beach at its foot, Kitsilano is a neighbourhood that everyone wants to live in.